This is a house in Kill Devil Hills, NC on the beach road. I love the color of the house and the way the light was hitting it at the time. 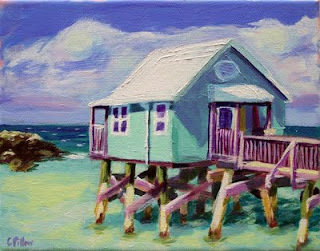 I painted this for my dear friends Gaye and Bob Walker and gave it to them on their 24th anniversary. I started this painting as an anniversary gift for my Mom and Stepfather. They used to go to Hawaii every year and almost always stayed in Maui at the Napili Kai Resort. We took this photo from the lanai in our room- the same view they would always see when they stayed there. They don’t travel to Hawaii very often anymore because of the travel time, so I wanted to bring Maui back to them! 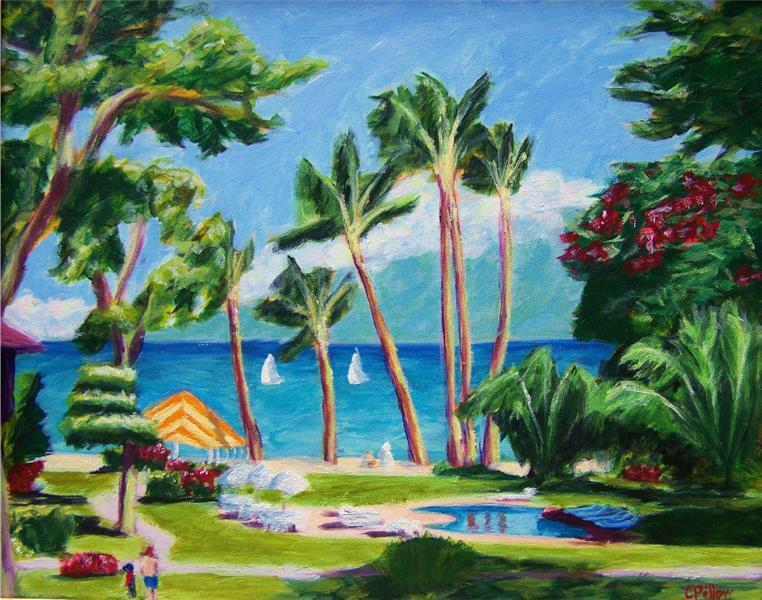 I painted this while I was painting "Napili Kai" from the same picture. I was interested in seeing it smaller. I loved recreating this picture- I want to be there! 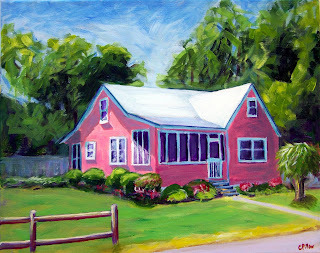 I painted this from a photo I took this summer in Wanchese, NC while we were on vacation. 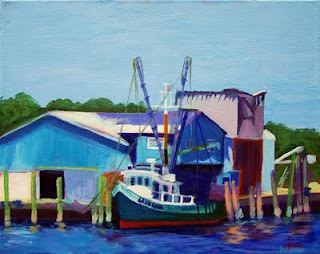 It is a fishing village just south of Manteo on Roanoke Island. This was my first visit ever to this town and really enjoyed all the “picture opportunities”. This particular fishing boat was named “Lady Irma”. This was from a photo I took of a house on 9th St. in Virginia Beach, VA.